3 Base Products You Need In Your Life. Ah, the mighty base. The canvas to a makeup look, one could say. Being fair skinned, I've certainly dabbled with a fair few products over the years, and recently (yep, I think I'm gonna go ahead and say it...), I've found three that tick allll the boxes for pale peeps of the world. For starters, and to keep things in place, the Becca Backlighting Priming Filter. This is basically just all kinds of awesome. Glow? Check. Blurred imperfections? Check. Longevity? Check. The primer pretty much does it all. Though, yes, it has a slight warm undertone in the bottle, when blended into the skin, said warmth is traceless and you're simply left with radiant, diffused skin. It's a yes from me. At long last. I can hardly believe I'm typing this, but I've finally found a foundation that actually matches my complexion. No orange, no nothin'. The seemingly impossible beauty battle is over. That's right, the Illamasqua Skin Base is in my stash and it's here to stay. With a whopping 26 shades to choose from, I was optimistic, and rightly so. After a visit to the Leeds Victoria Quarter store, the amazing Drew spent a good 10/15 minutes matching me up to my perfect shade, which happened to be 4.5. My skin is on the drier side of things, however I find I can build up this gem without any concern over the finish. It's lightweight, SPF free (buh-bye ghost face in flash photography) and a little seriously goes a long way. So yeah, in case you couldn't tell, I'm sold. To conceal, it's all about the Bare Minerals BareSkin® Complete Coverage Serum Concealer. This is one I'd heard a whole lot about in the blogging world, so naturally after finishing up my last, I just had to snap one up. Again, concealer can be something I can struggle with. Many are either too cakey, too drying or just a little 'meh' (you know the drill). But this combined with a slightly damp beauty blender ticks all the boxes. 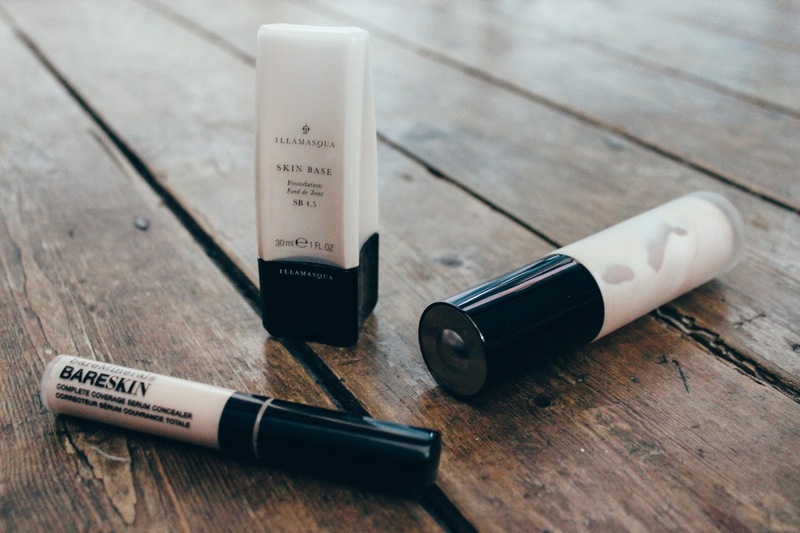 A concealer and serum hybrid, it works its magic on dark circles and blemishes, brightening the complexion in the process whilst boasting a long-wearing formula. Oh, and with 6 shades available, Bare Minerals have quite literally got you covered. Have you tried out any of the above? I'd love to know your thoughts and any base product recommendations you can throw my way! Liked this post? 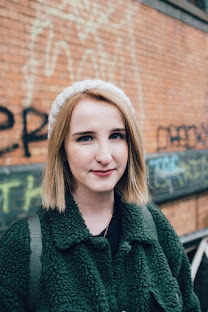 Come follow me on Bloglovin'! Kicking January In The Bum.